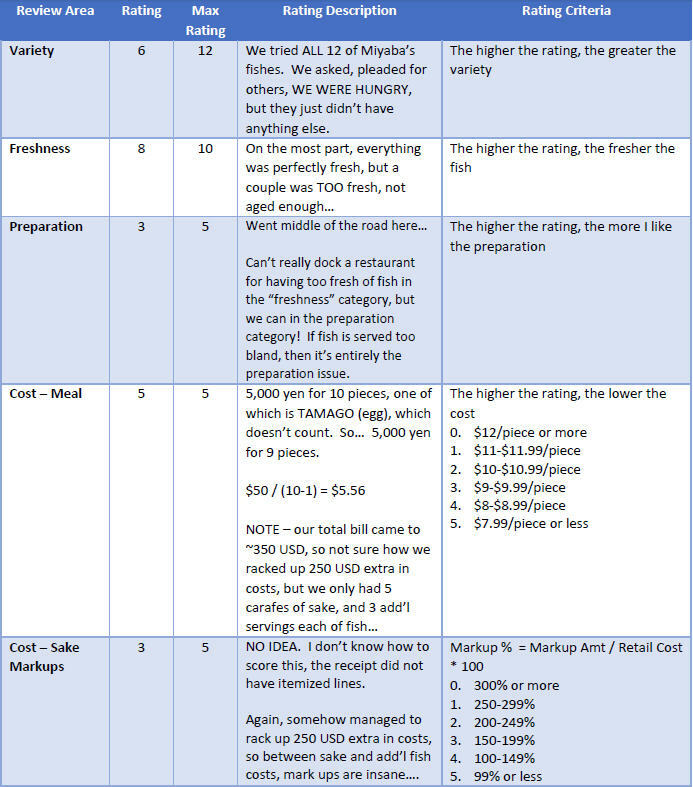 I’ve shared this before, Tokyo is a PAIN IN THE A&S for foreigners in making reservations. 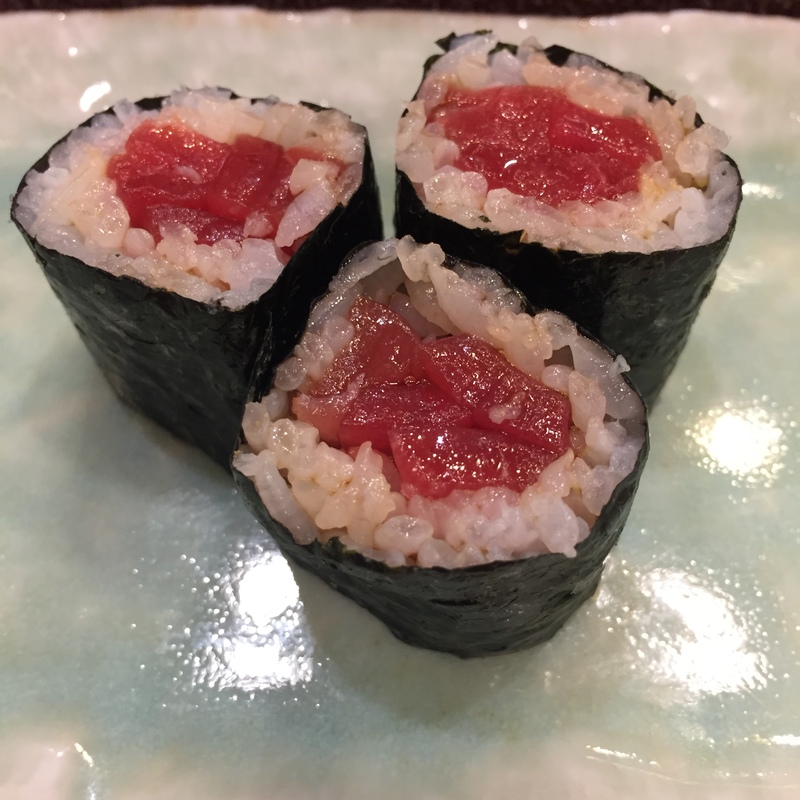 Despite staying at the higher end hotels despite trying to book through your crazy high end credit card concierge, options are VERY limited for Michelin rated sushi-yas. Unless you want to pay for your reservation ($90 per person in your party, such that a 2 person booking will cost you $180 (U.S. DOLLARS) in PURE FEES), your options are very, very limited. 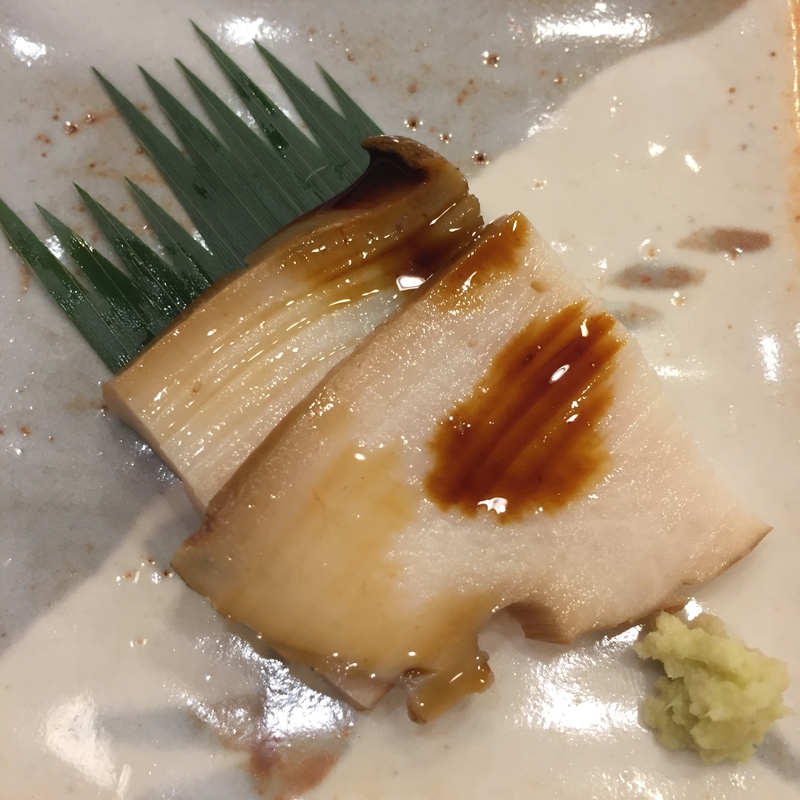 KATSUO (Bonito) – Very good! Keeping with the theme of our last two pieces, this was again bland. Difference is, I find KATUOs to be a very strong fish, and strong in a less desirable way than my super strong silvers and single shells. 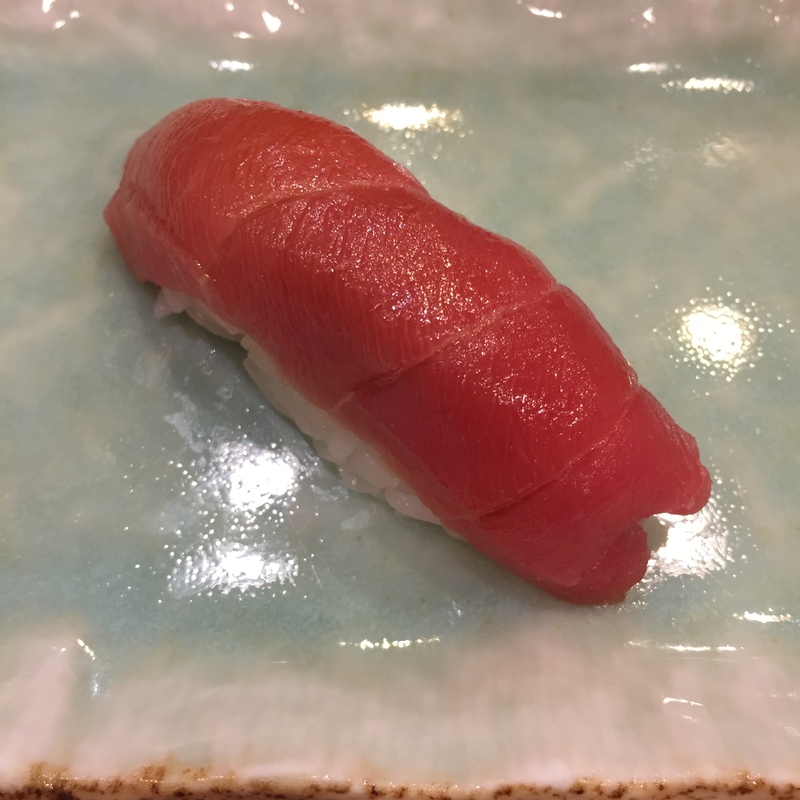 I don’t know which fish to compare this super light KATSUO, just that it’s a much, much lighter version than that we are all used to. 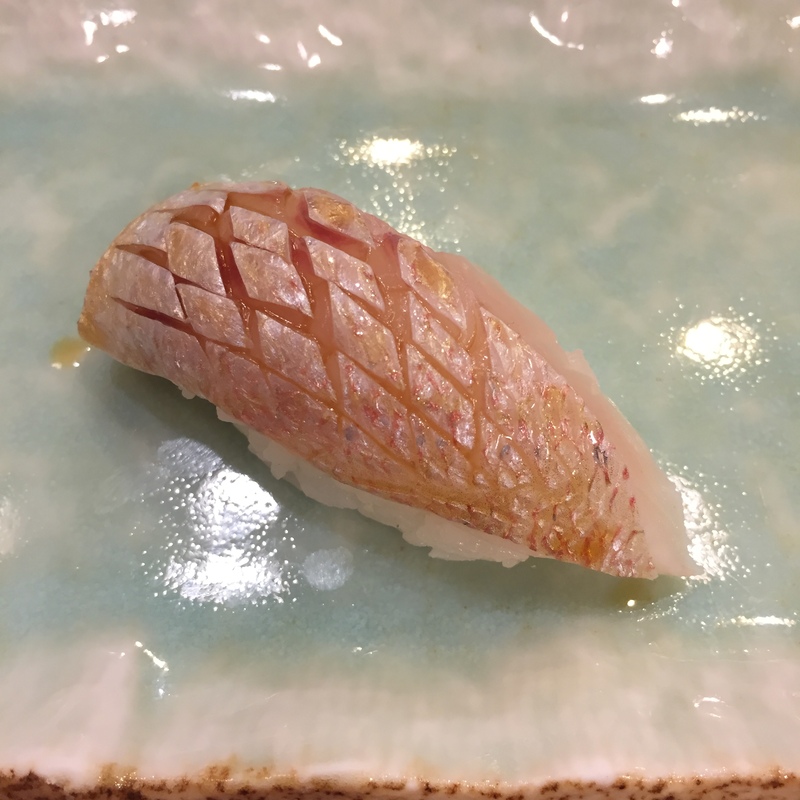 KANPACHI (Amberjack) – This was actually a belly cut. 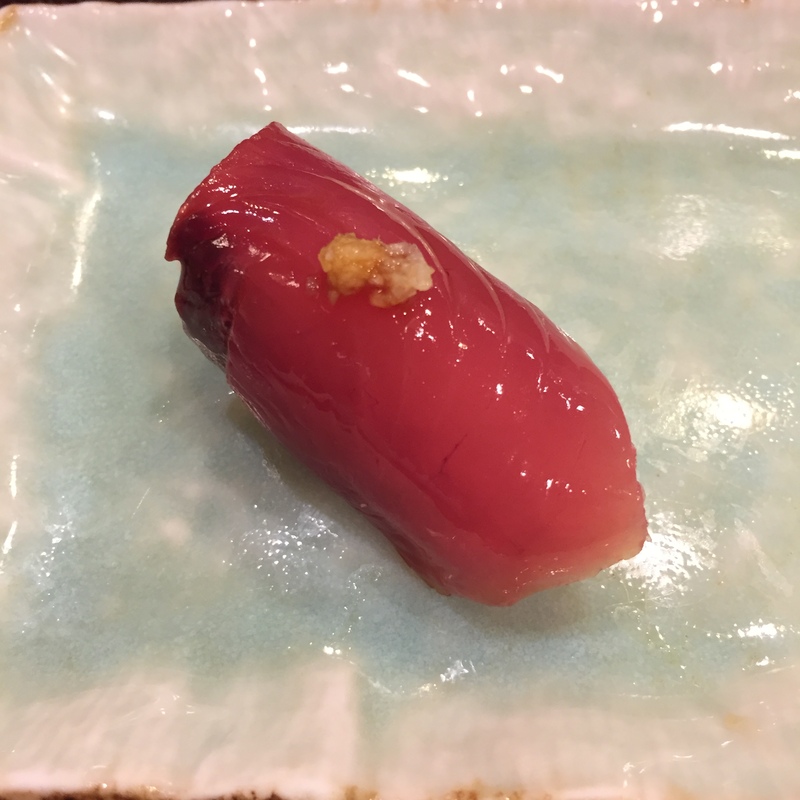 I wonder why they call a Tuna belly, TORO (which is not actually belly, it’s just fatty tuna), and a Yellowtail belly, HAMACHI-SUNAZURI (belly of a young yellowtail), but every other fish (almost), they call the belly, just so and so- belly. Or what does SUNAZURI actually mean? Or have I spelt it wrong all these years? 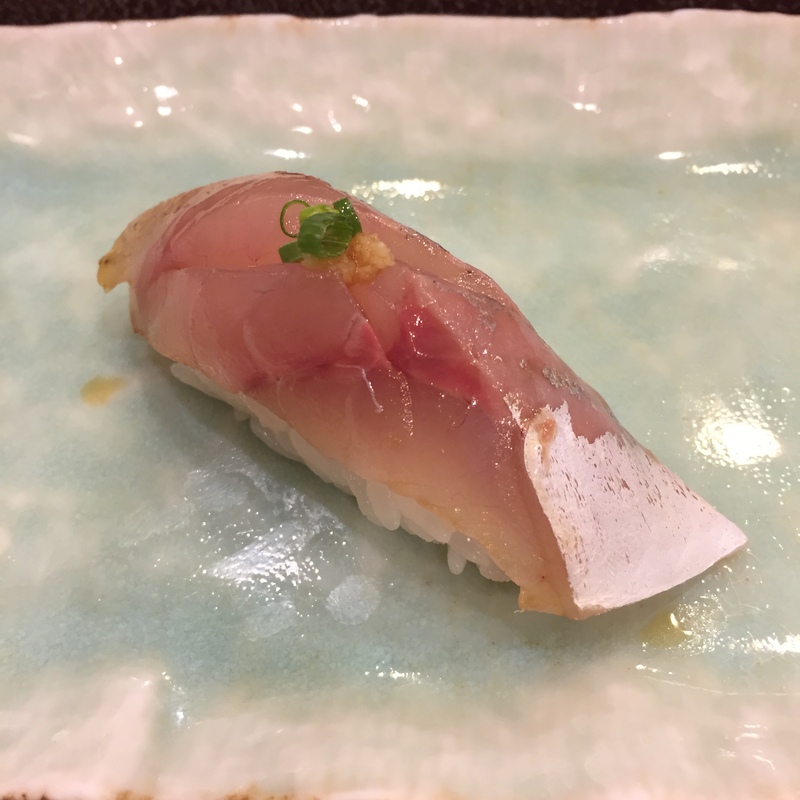 When I say it to the chefs, they know I’m referring to the yellowtail belly, so it must be a somewhat regular term… Same as the rest, good, but very very mild tasting. SURUME IKA – Very good! 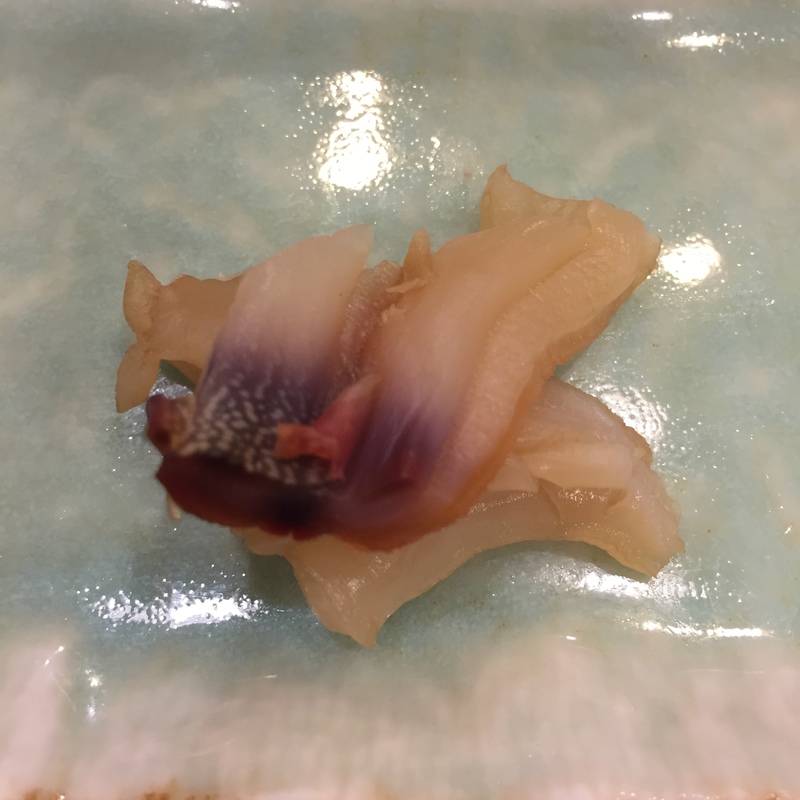 This rather thinner cut of SURUME IKA was very nice, melted in my mouth, yet not at all gooey. 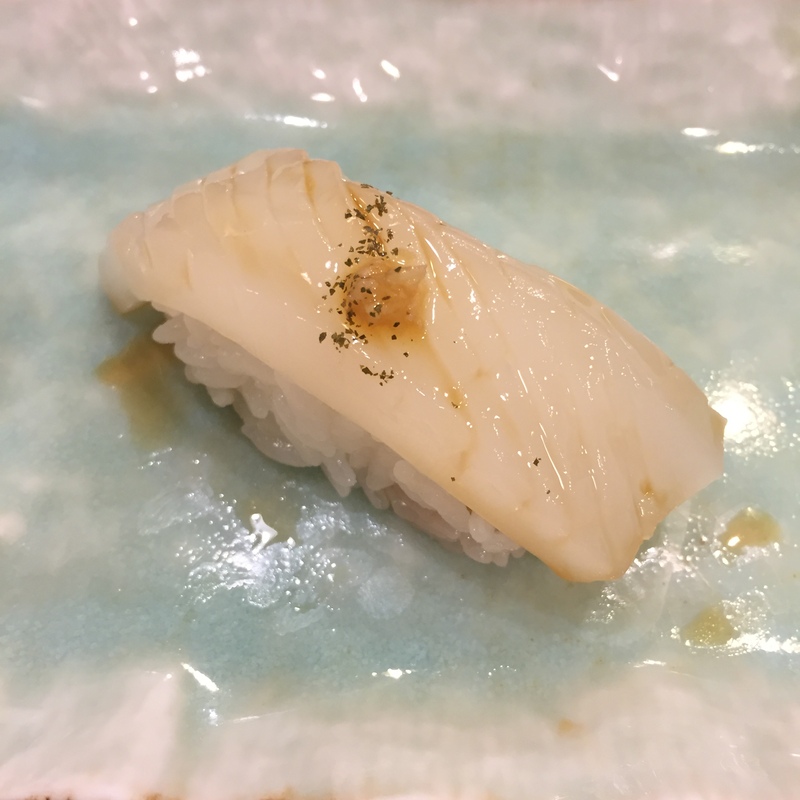 Topped with a little MOMIJI OROSHI (marinated radish), fresh pepper, AND soy, very good. 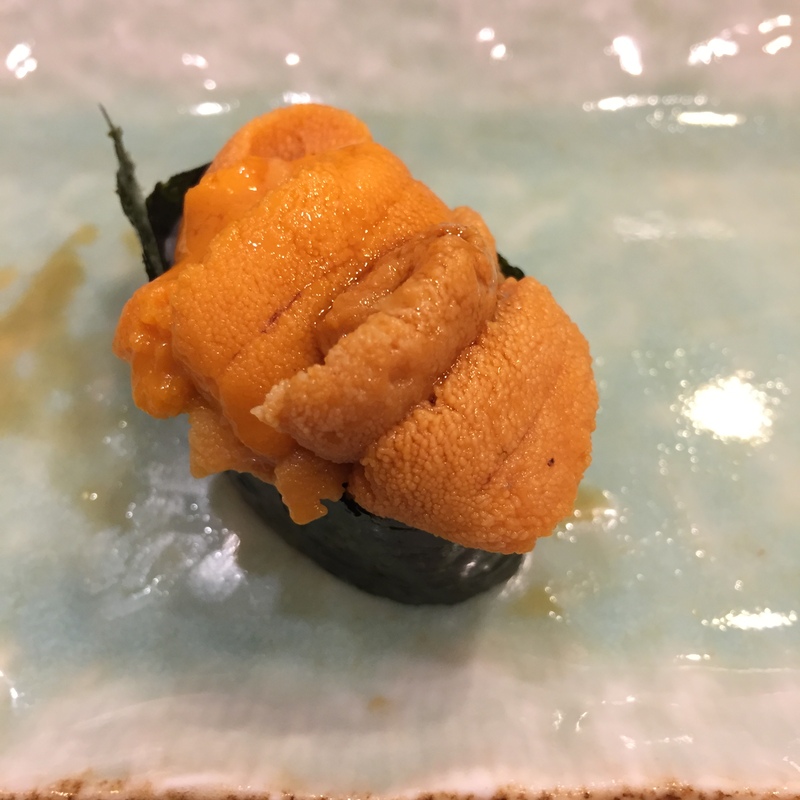 HOKKAIDO UNI – Eh… Compared to that of what we had in Osaka, better. 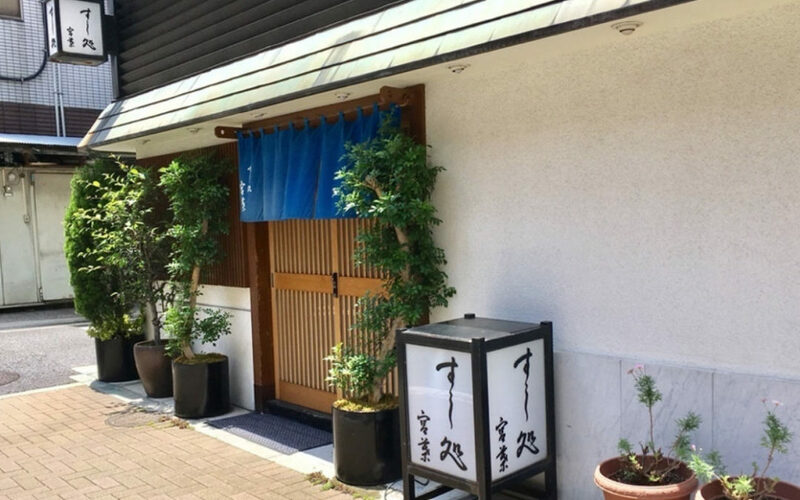 But compared to that of what we had in every single run-of-the mill sushi-ya in Sapporo, AND pretty much every higher-end sushi-ya in NYC, just MEDIOCRE. ANAGO -BO-RINGGGG!!!! I failed to request, “No ANAGO”. I ate it, and it was decent, but oh so boring! AKAMI – Are you kidding me? My 9th and practically final serving was a half of an AKAMI roll? To be honest, I LOVE a plain AKAMI roll. That OR a TORO TAKUAN (pickled radish) roll are both fantastic. But 9 pieces, even for a lunch omakase is nutty. The 10th piece is a TAMAGO, and we all know, in my books, that does not count. 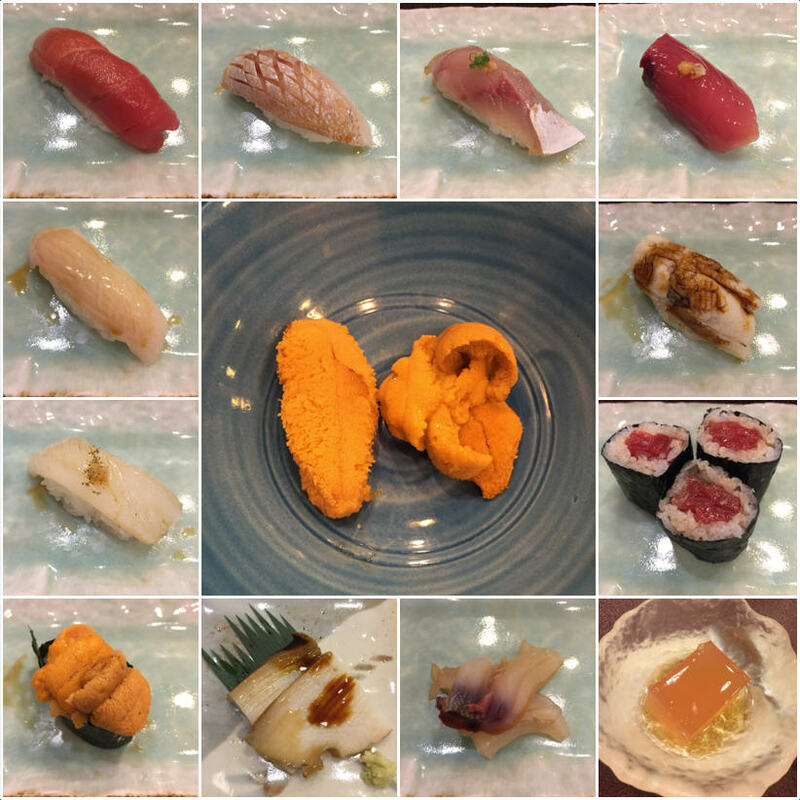 TAMAGO – No photo, but do you really need one??? 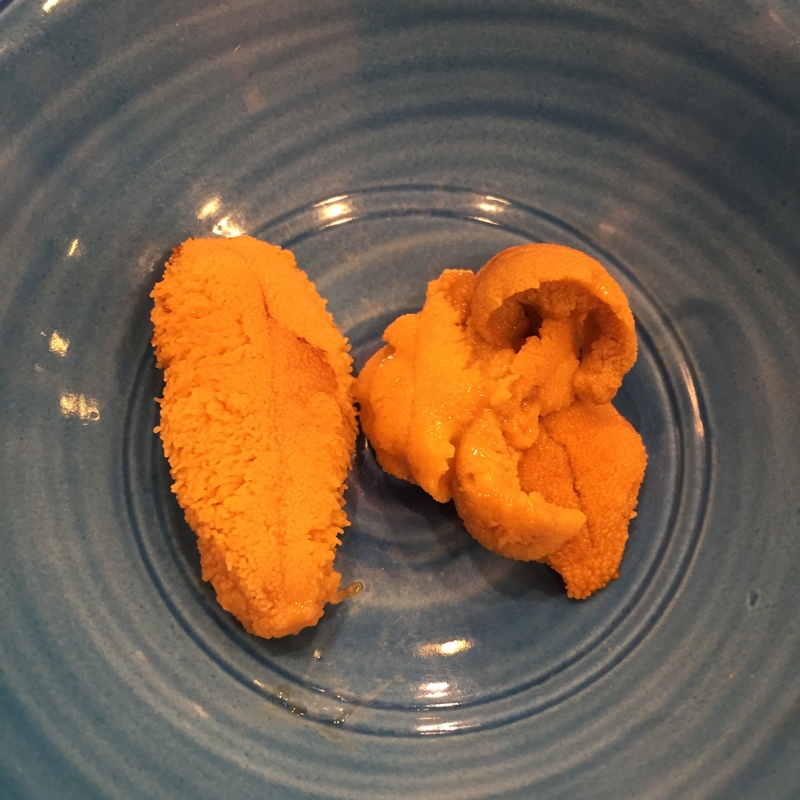 AWABI – Not a huge fan of braised AWABIs Japanese style. This AWABI reminds me of the USHI AWABI. If you’ve read my posts, you should know that I’m a HUGE fan of USHIWAKAMARU. 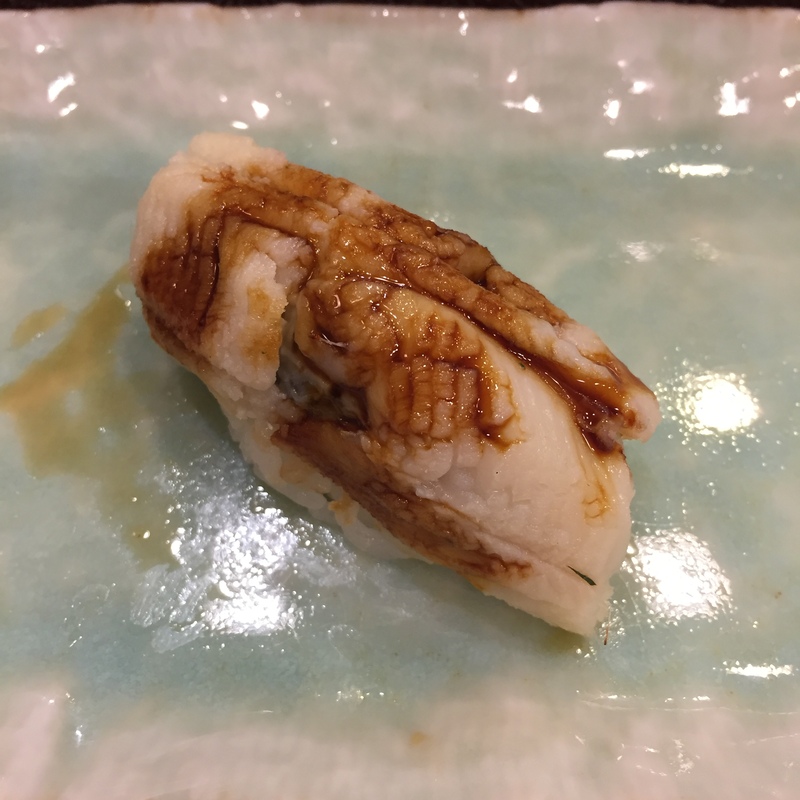 BUT – Hideo-san’s’s AWABI just doesn’t hit the mark for me, please know that almost every other fish does, so please don’t let this statement detract from your visit to USHI. That said, it’s a braised AWABI that’s still somewhat chewy, and then topped with UNAGI (eel) sauce. AWABIs should not be topped with UNAGI sauce. Best braised AWABI ever? Miyakawa-san’s from SUSHI MIYAKAWA of Sapporo. Hands down, best braised awabi. 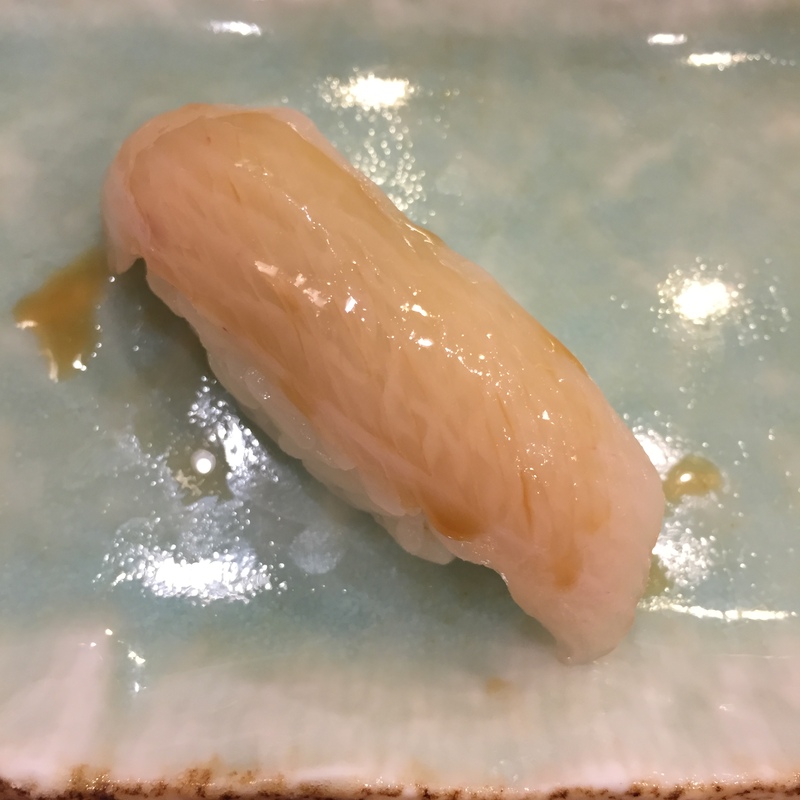 AOYAGI (Surf Clam) – Chef talked this up as though it’s a big to do. It ain’t! I don’t know where I got the term, “All that and a bag of chips”, indicating it’s sufabtastic (super-fabulous-fantastic), but this ain’t NONE-OF-THAT, and ZERO-CHIPS. BLAH!